Ariobarzanes II was the king of Cappadocia from c. 63 BC or 62 BC to c. 51 BC. He was the son of King Ariobarzanes I.
Ariobarzanes II married Athenais Philostorgos II, one of the daughters of King Mithridates VI of Pontus. He was an ineffective ruler, requiring the aid of Gabinius in 57 BC to ward off his enemies. He was successful in maintaining rule over Cappadocia for approximately 8 years before being assassinated by Parthian favorites. By his wife, he had two sons: Ariobarzanes III of Cappadocia and Ariarathes X. He was succeeded by his first son. 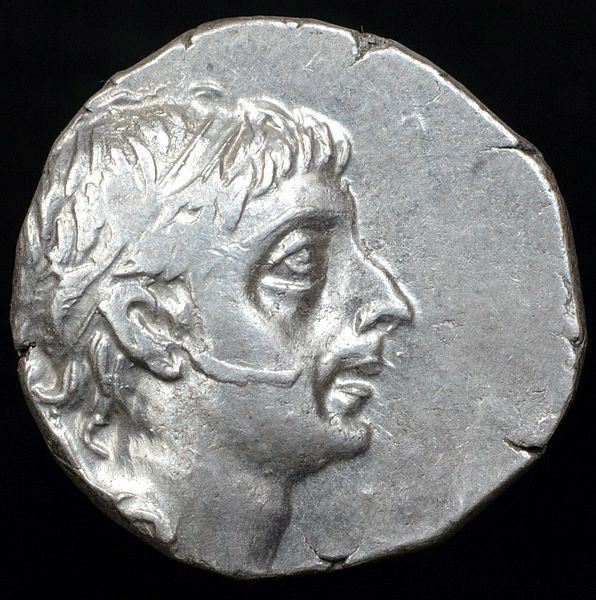 (1) Ariobarzanes II 56 BC ?